Until recently citing Estonia as the location of your FinTech firm drew looks of puzzlement despite Nordic banks, NASDAQ, Microsoft, etc generating healthy profits here. Today that same statement creates high interest and rightly so. At a time when Germany gets excited by Fidor, the UK agonises over identity and the world struggles to understand Digital, the Estonian time machine has leapt years ahead. 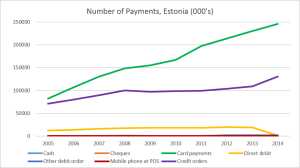 Since 1992 Estonia has operated with Digital identity underwritten by the government via the ID Card and Mobile ID schemes. These schemes provide definitive proof of ID in a digital environment and are used daily by individuals and businesses to sign contracts, make bank transfers, file returns, etc. Individuals can also make mobile payments for travel/services using their phone instead of a credit card as the transaction is directly linked to the user’s unique ID. Contracts and transactions are time stamped and there is a clear audit trail for all parties. Benefits: Financial Services firms can originate clients and deals online, be sure of identity and check that against AML lists in real time. This in turn makes it possible to automate end-to-end processes in deposit taking and lending. Union clients using such a solution have benefited from cost efficiency, better data for decision making and corporate agility. In 2007 Estonia was subject to a wave of coordinated international Distributed Denial of Service (DDos) attacks on state, media and bank websites in an attempt to overload servers and systems. At the time this attack was unique in its scale and sophistication. Although some service interruptions inevitably occurred Estonia successfully defended the attacks and in 2008 became home to the NATO Cooperative Cyber Defence Center of Excellence. In 2009 NATO and SEB signed a partnership focusing on R&D in financial services. The cyber security and digital forensics sector has grown strongly since and today Estonia is a world leader in the field, benefiting from a joined up approach between academia, business and government. Benefits: Financial Services and FinTech’s have access to best practices in cyber security, highly trained specialists and can test solutions in a real world environment. 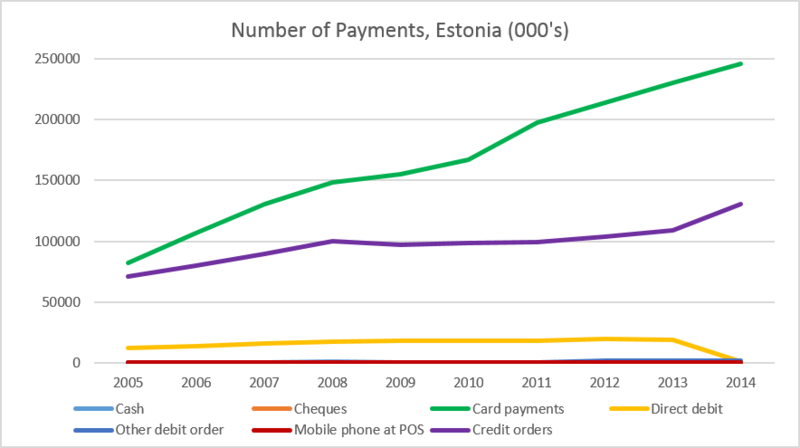 On restoration of independence in 1991 Estonia made a considered choice to avoid expensive and fraud prone systems such as cheques, instead focusing on Online and Card payments. Based on World Bank statistics Estonia already possesses among the lowest number of bank branches (12.4 branches per 100,000 versus 59.6 in Italy) and ATM’s in the developed world yet we see a trend towards both being reduced further. No-one would argue that cash and branches do not have a role however what becomes clear is that Digital banking works (supported by high speed internet access with high security). Benefits: Digital Banks become the norm and benefit from competitive advantages in efficiency and agility over traditional business models. Over time advanced analytics will allow the Digital Banks to transform their data into more personalised client service. Clients benefit too, be it pensioners seeking efficiency, tech savvy Millennials or busy entrepreneurs. For any project to succeed you need a strong sponsor, in this case the government, a leading light of the D5 digital economies initiative. 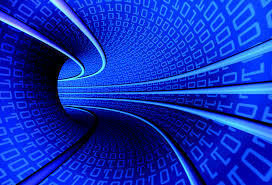 The way in which the government utilises IT is too varied to address here (see e-Estonia for more) but in general information and services are delivered through web portals, returns filed online and everything managed in the X-Road, an ecosystem of decentralised databases which harmonise public and private sector e-services. Long standing commitments to educating children in IT from an early age, passing enabling legislation and making investments are supported my more recent innovations. Among these the Virtual Data Embassy project, where public data is stored in the cloud, and e-Residency, where business owners can register an Estonian company and manage it remotely using a special ID card, are noteworthy. The latter has now fueled demand for Financial Service providers to service non-resident clients by video and internet bank, two of the most cost effective channels possible. Benefits: Government commitment makes it easier to engage with them and make long-term investments. The regulator has detailed, real-time data on the sector, making for better decision making. Collaboration between stakeholders builds a better ecosystem. In summary, Estonia is already applying technologies that Financial Services providers, FinTech’s and regulators are grappling with elsewhere – digital identity, immutable data, digital banks, cost effective payments, cloud. More over there is clear evidence that all stakeholders can benefit from such investments, removing the sustainability argument many cite as a barrier to change. Is it scalable to larger, more complex economies? Let’s see, but these are some of the reasons Union is located in Estonia (and Digital from day 1).